For many homeowners, making their property more environmentally friendly is a top priority. Whether you are looking to cut energy costs or reduce your carbon footprint (or both! ), taking the time to consider how you can be more eco-friendly is a good idea for anyone who owns a home. While your HVAC system is essential to your comfort at home, the heating and cooling system in your home could account for more than 50 percent of your total energy consumption. Therefore, one of your top priorities should be making your HVAC system more efficient. In this blog, we will go over some ways you can make your heating and cooling system more eco-friendly. When your air filter is dirty, your HVAC unit cannot work as efficiently as normal. However, most people let their air filter accumulate quite a bit of dirt and debris before realizing that their AC is being affected. It’s a good idea to check your air filter about once a month. Take the filter out and hold it to the light; if you can’t see light pass through it, it is too dirty for air to properly flow through your HVAC system. A quality air filter will last 60 to 90 days, but some last up to a year. By checking them every few weeks, you can make sure that your HVAC system is running optimally at all times. According to the Department of Energy, you could save up to 15 percent on energy costs simply by increasing your temperature by ten degrees in the summer and decreasing it by ten degrees in the winter. However, remembering to adjust your thermostat when you leave your home is not always easy. If you use a programmable thermostat, you don’t have to worry about remembering the thermostat; simply program it to adjust so you can consistently save energy and money. Contact Lamco Systems and we can install your new thermostat for you! As your outdoor unit is kept outside, a little dirt is to be expected. However, if there is excess dirt buildup, it can interfere with how your system functions. 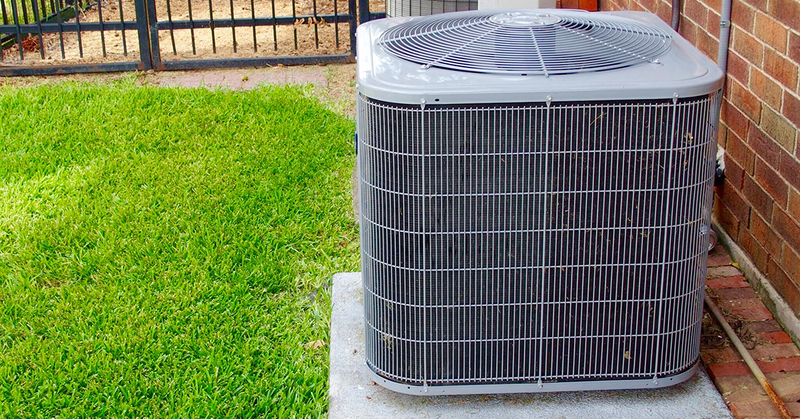 Just as you check your air filter every month, you should check the coils of your outdoor system monthly to ensure that there are no leaves or dirt stuck outside your AC unit. If your coils look like they need a deep cleaning, contact Lamco Systems for an expert solution. Unsealed or damaged ducts cause air to leak, leading to a 25 percent energy loss. Check our ducts for where they need to be sealed to fully benefit from your HVAC system. Not only does this prevent air from leaking through the ducts, but it can also ensure that the air is efficiently reaching every room in your home. Contact our HVAC company for our expert duct-sealing services. Whether you are looking for air conditioning or furnace installation or repair, Lamco Systems can help you. Contact us for our HVAC services in Merrimack Valley!